I was not planning on eating eggplants this week but while visiting An Trach Market I was convinced by these cute young girls to buy some. I have to say they are good business people!! 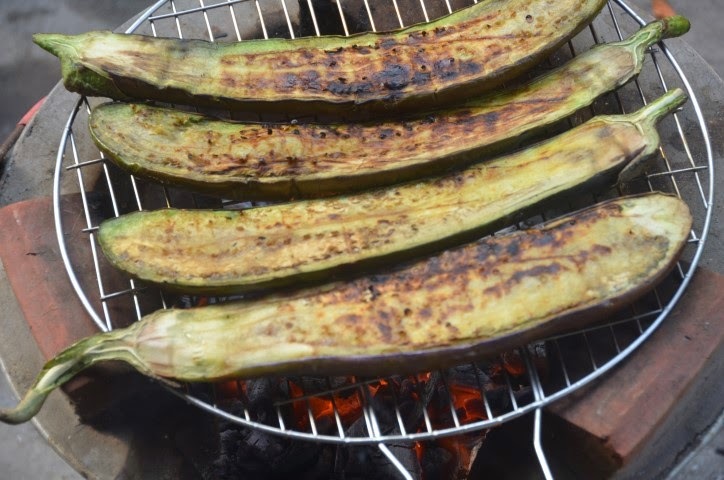 I did not know what to do with the eggplants until I saw that there was a little charcoal burning in a clay stove outside. I took advantage of the heat and grilled these. They are delicious with a little Vietnamese dipping sauce (nuoc cham) and rice. 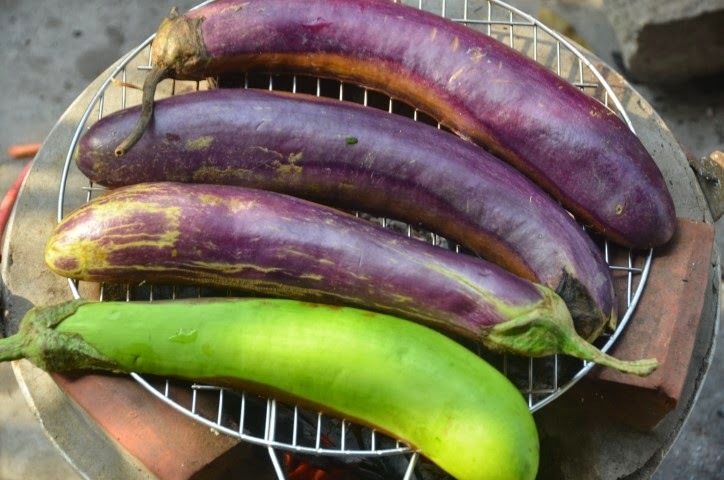 Grease the grill and coat part of the eggplants with a little oil. Grill over medium low heat for about 7-10 minutes or until cooked to your preference. The cooking time will depend on how hot the grill is. Drizzle some scallion oil on top and serve. 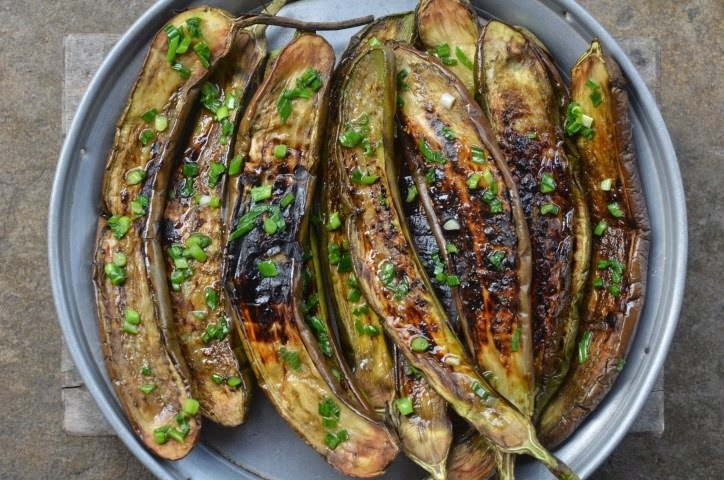 *If you are not interested in adding the scallion oil you may drizzle some olive oil and sprinkle a little salt and pepper on both sides of the eggplants and grill. These are great with steaks! *You may use an electric grill for these.